Buddhangkura Buddhist Temple began humbly in 1999 on property with a house suitable for a monastery. The house, or monastery, also serves as a kitchen and gathering place for a local population of Buddhists, mostly Thai, Laotian and Cambodian, with some European Americans sprinkled in. These lay people welcome everyone, and generously share the food they bring with anyone who walks through the door. The adjacent temple was completed some years later. Subsequently, numerous kuti were built, plus gardens, alcoves, and shrines on this extensive, wooded property with trails. All the traditional Thai Buddhist events are celebrated at the temple. The laity are the sole support of the monks and the property. In the summer, there is a temporary ordination for youth. Such ordinations are the norm in Thailand, and the novices often live in the monastery the entire summer. Here in Olympia, they stay two weeks at the temple, where they learn the dhamma and vinaya (rules in monasteries). Everyone is invited to the ordination ceremony, usually held in July. The resident monks were ordained in the Thai Forest tradition, including the abbot, Phra Ratsamee, who was here from the beginning when the property was purchased. 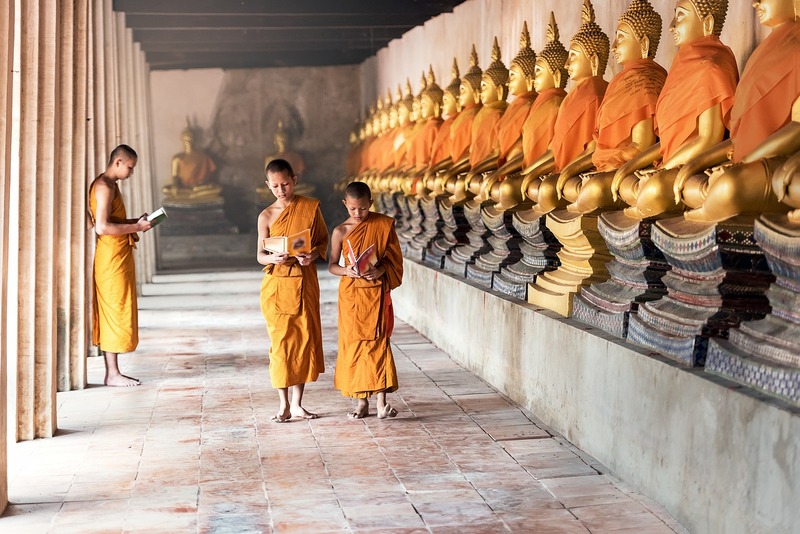 Buddhism in Southeast Asia is mostly Theravadan, which adheres closely to the Buddha’s original teachings. The Thai Forest tradition follows the monastic rules as closely as possible to Buddha’s time. Here is where you’ll find the core of the Buddha’s unmodified teachings.